Jake and the Neverland pirates is a Disney Junior show which is very popular with toddlers, preschoolers and litte kids. Now kids can dress up as Jake, the leader of the young pirate crew. Jake wears blue pants, a white pirate shirt, a blue vest with gold trim, brown boots and a red pirate bandana. And of course he his pirate sword and eyeglass. You can also get Jake and the Neverland Pirates treat bags for Halloween and other matching accessories. This is Jake's costume which matches the one that Jake wears in the show. The main part of the costume is the jumpsuit which includes blue pants, white pirate shirt with detail at the next, and of course Jake's navy blue pirate vest with gold trim and buttons. You also get the brown boot covers with gold buckles. And the red headband with the Jake and the Neverland Pirates logo is also includes. There's also a Disney Store Jake Costume available. 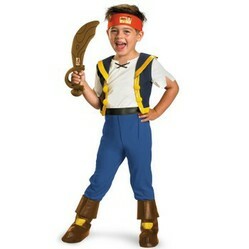 The Jake costume is also available in a kids age 4-6 size for preschool pirates. The sword is available separately. The Jake costume is now available so you can get it ready for Halloween or for role play at any time. Perfect attire for solving pirate problems and dealing with Hook and Tick Tock Croc. Of course every Jake will want a pirate sword! 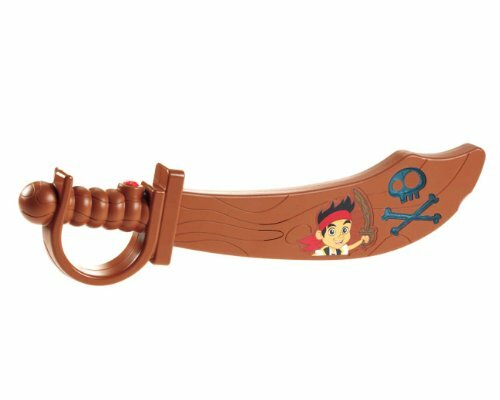 This is an official licensed Jake and the Neverland Pirates sword. It's a soft sword so they shouldn't be able to do too much damage! It's designed to look like Jake's wooden sword. Alternatively you can choose a Fisher Price Jake toy sword for roile play. This is a battery-operated plastic sword. Jake's Magical Sword has sound effects from the show and a light up pirate skull logo. There's also an official Jake's Spyglass set which includes a Spyglass which extends and has special effects. There are sounds and sometimes Hook appears. 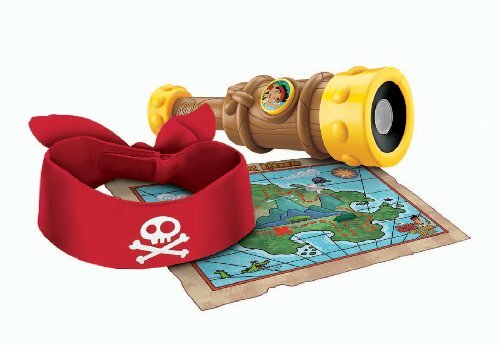 You also get a treasure map and red pirate headband in the set. This is the official licensed treat pail to go with the Jake costume. It features Jake and the crew and is in the shape of a treasure chest. Perfect for Halloween trick or treating, and for keeping special treasures in all year round. A plush Skully the parrot is the perfect finishing touch for a Jake and the Neverland pirates costume! This is an official 8" plush Skully the parrot. You could even attach him to Jake's shoulder for a very cute pirate costume. 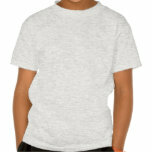 This Jake t-shirt comes in lots of sizes and different t-shirt styles and colors. It features an action picture of Jake the pirate. The T-shirt is customizable so you can add text like "Join my crew, Ben!" 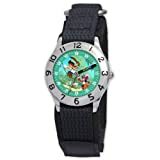 You can also get a Jake and the Neverland Pirates Time Teacher watch. It's a proper good quality watch that can be worn every day to help kids learn to tell the time. It has a velcro strap to make it easy for kids. And there's a Jake and Hook action scene on the face of the watch. Jake and the Never Land Pirates is a popular Disney TV show for kids. Find lots of resources for kids who love Jake and Izzy. Jake and the Never Land Pirates Party Supplies for a fun pirate party for little kids. Love these Jake costumes, they go well with kids.